We understand that your cat is a part of your family. We’ll help you to give him/her the best life possible with quality, affordable care, right from the day you bring your new kitten home, through to the senior years. Whether you need advice on choosing your new kitten, adopting an older cat, what food to provide, health issues, vaccinations, neutering or surgery, we are delighted to help. Browse the services on our site for more information. We are proud to be a Silver accredited Cat Friendly Clinic which means that we have reached a high standard of cat care where our staff understand the specific needs of cats and have done everything possible to make visits to the vets more cat friendly. We understand how to approach and handle cats gently and with care, and have the best knowledge and equipment to manage the care for your cat. 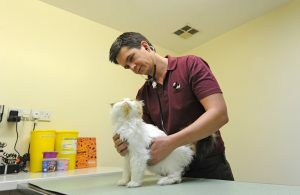 At our Stoke Road branch, every Tuesday and Thursday is a Cat Clinic day. On these days we do not allow any dogs into the building or the kennels and see only our feline patients. Our waiting room is especially cat friendly, with cat trees to place your carrier on and Feliway scented blankets to provide them with some privacy. All of our appointments are 15 minutes, allowing the cats time to venture out of their carriers and explore their surroundings, whilst getting to know the vet or nurse. As well as routine vaccinations and consultations with one of the vets if your cat is unwell, we can also discuss preventative healthcare for every lifestage of your feline companion. We also have nurse appointments available where your cat can have their blood pressure checked, coat dematted, or medication administered, as well as many other procedures to keep your much loved cat in the best of health. We also offer routine neutering and surgical procedures as well as dental treatment in our dedicated dental suite with digital xrays. Your cat will have the advantage of spending the day in our spacious cat-only ward with the opportunity to hide in our feline friendly castles and benefit from the peace and quiet of the Cat Clinic. As an accredited Cat Friendly Clinic, we want to work with our cat owners to keep our patients happy and healthy through all their life stages. 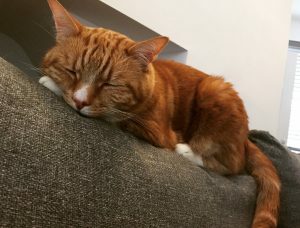 By undertaking age specific preventative healthcare from the Kitten stage (0-6months old), through the Junior, Adult, Mature and Senior stages, and right up to the Super Senior cats at over 15 years old, we can prevent problems occurring and also maximise the early detection of illnesses, which is often when much more can be done for our patients. 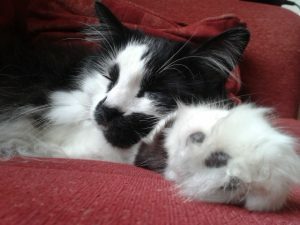 The CatCare4Life programme is run in conjunction with ISFM. The programme aims to help owners and vets to work together to think long-term about what is needed at each lifestage to maintain your cat in the best possible health.